Belmond El Encanto has partnered with Sunstone Winery to craft two custom blends in support of the local youth organization Youth Interactive. Photo courtesy Belmond El Encanto. I’m always excited to hear about partnerships between local wineries, local businesses and local nonprofits. After all, when good wine benefits a good cause … well, it’s all good! Most recently, Belmond El Encanto collaborated with the beautiful, family-owned Santa Ynez Valley winery Sunstone Winery to craft two custom blends in partnership with GO Campaign to support Youth Interactive, one of my favorite local organizations that works to create youth-led businesses to help participants explore their creative and entrepreneurial talents. 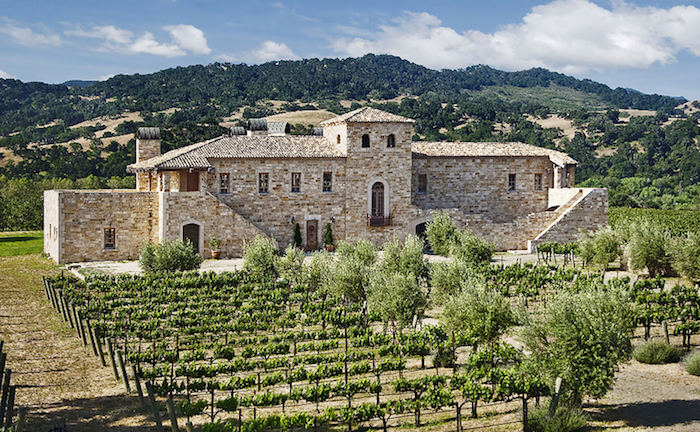 Belmond El Encanto worked directly with winemaker Bion Rice and the Sunstone team to craft each wine. The first custom blend, released in December, is Enchanted Riviera (pictured above). It is a 2017 cuvée consisting of 50% Cabernet Franc, 20% Merlot, 20% Syrah and 10% Mourvèdre. Each of the four lots used to compile this blend originated from the 28-year-old Sunstone Estate Vineyard. The white blend, Charming Vista, will be available in early 2019. A select panel from Belmond El Encanto and Youth Interactive’s Board developed secret blends for a blind tasting at Sunstone Winery, and a Level 2 Sommelier from the winery chose the winning blend. Youth Interactive Artist Jack Miles with his artwork that is featured on the “Enchanted Riviera” bottle. Courtesy photo. 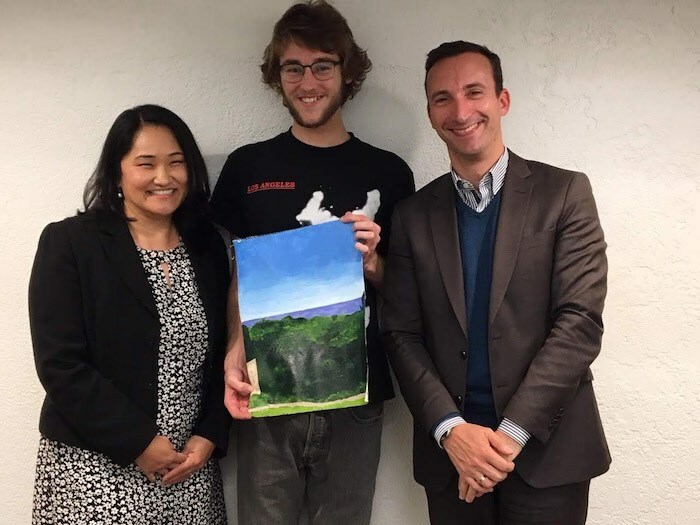 The bottle label artwork was created by Youth Interactive participant, 18-year-old La Cuesta Continuation High School student, Jack Miles. A fan of abstract art, Miles was mentored by celebrated local artist James-Paul Brown on the design. “Youth Interactive means a lot to me. It is a safe place where I know that I can always come to and feel free to be myself and express myself. I am able to meet important people in the community and expand on my skills to become a better person,” says Miles, who hopes to find a job that allows him to utilize his talents and give back to the community. Founded in 2012, Youth Interactive Santa Barbara is a grassroots after school Entrepreneurial Arts Academy that bridges opportunity and social divisions by providing creative young adults from all walks of life with the keys to self-sufficiency. 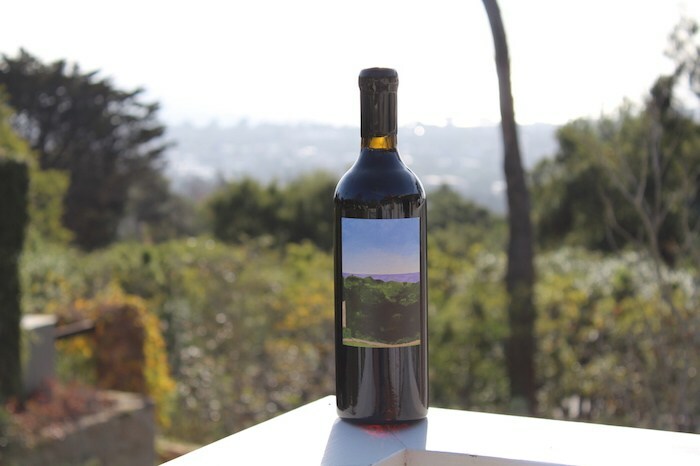 Sold exclusively at the hotel, Belmond El Encanto will donate five dollars from each bottle sold to the organization. You can also check out some of Youth Interactive’s other products at their new gallery space, the State Gallery @ YI Shop, located at 1219 State St. across from the Granada Theatre in Downtown Santa Barbara. Cheers to good wine and good causes! Click here for more Cocktail Corner columns. Originally published in Santa Barbara Seasons on January 18, 2019.